Learning the Greek alphabet can be very beneficial for parents and students who are new to the world of fraternities and sororities. Chapters represented at UConn may be represented by two or three Greek letters. 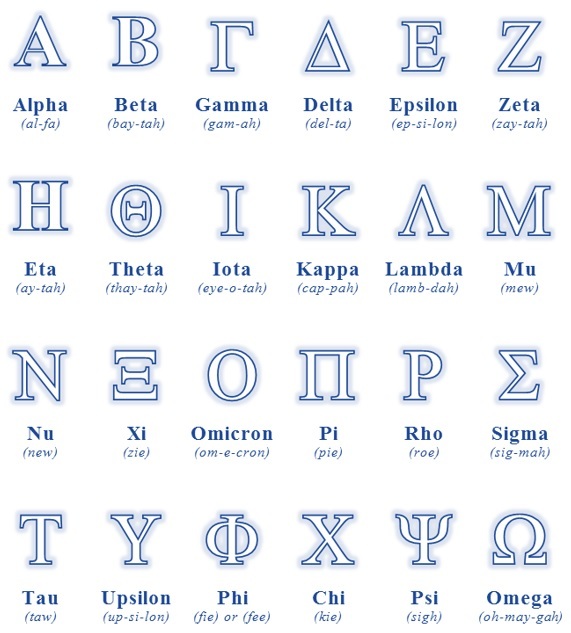 The more familiar you are with the Greek alphabet, the better off you’ll be!